Asia to Drive Demand for Wood Biomass Pellets Over the Next Decade - Fastmarkets RISI - Objective Insight. Better Decisions. Boston, August 27, 2018 (Press Release) – Western Europe has long been the world’s largest market for wood biomass pellets, which can be burned to power industries and heat buildings. But Asian industrial demand, driven by Japan and South Korea, is set to average 18% annual growth for the next decade. This geographic shift in demand growth will reshape the flow of exports from top producers Canada and the US – an evolution explored by the Global Pellet Demand Outlook, published today by RISI, the leading information provider for the global forest products industry. “All biomass pellet markets have grown steadily for the past five years, but Asia will sustain rapid expansion as Europe’s industrial consumption plateaus,” said Sarah Martin, RISI Associate Economist for Bioenergy and author of the new study. “Government policies in Japan and South Korea will keep driving industry’s conversion to renewable energy sources. Biomass pellets already provide 12% of Japan’s industrial energy needs, and we expect that market share to more than double to 31% by 2028,” said Martin. Pellet demand is affected by many external factors, including government policies, market prices for competing energy sources, and the severity of winters. Each of these factors will affect key pellet-consuming nations differently over the next decade, as detailed by the Global Pellet Demand Outlook. “Over the next few years, Europe’s ongoing trend of converting coal-fired power plants to burn pellets will continue – but after 2026, expected policy changes are forecast to cause a decline in industrial power demand,” Martin said. Europe’s use of pellets for heat, however, should keep growing through 2028. “More significantly, by 2028, Asia’s expected industrial pellet consumption of 18 million tonnes will nearly equal Europe’s industrial volume of 18.3 million tonnes annually – an important shift that will reshape the dynamics of the entire industry,” said Martin. 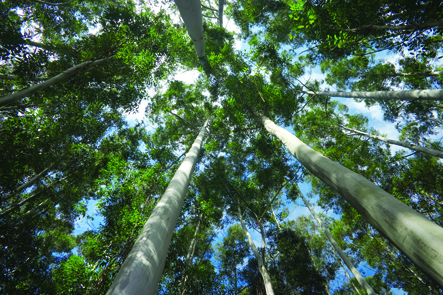 RISI is the leading information provider for the global forest products industry. The company works with clients in the pulp and paper, packaging, wood products, timber, biomass, tissue and nonwovens industries to help them make better decisions. Headquartered in Boston, MA, RISI operates additional offices throughout North and South America, Europe and Asia and is a subsidiary of Euromoney Institutional Investor PLC, a global business-to-business price reporting & information group (www.euromoneyplc.com). Fastmarkets RISI generates the most trusted content on global forest products and related markets.